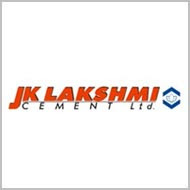 JK Lakshmi Cement, a leading cement manufacturer in India, on Monday said it is planning to raise funds by issue of securities, convertible or non-convertible by public or private offerings or any combination thereof. The company’s board meeting will be held On May 17, 2017, to consider and approve the audited Financial Results for the quarter and financial year ended 31st March 2017. Besides, the board would also consider raising of funds by issue of securities, convertible/non-convertible, with or without warrant by any of public and/or private offerings and/or qualified institutions placement or any combination thereof. The board would also consider recommendation of dividend for the said financial year, if any.